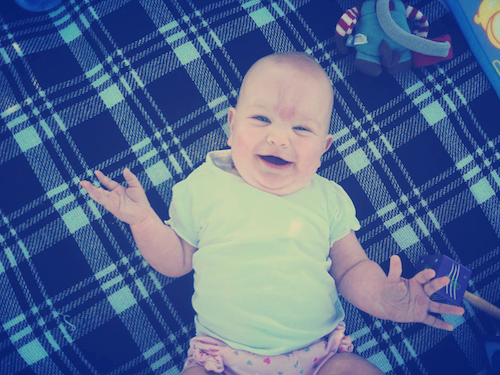 Today Romy went on her first picnic, and she loved it! 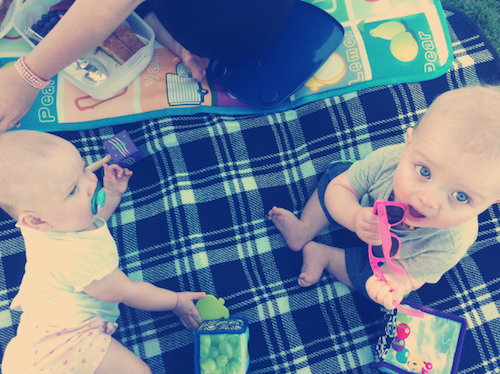 Every week we meet up with our friends Renee & Oscar for coffee and this week we changed things up with a picnic. 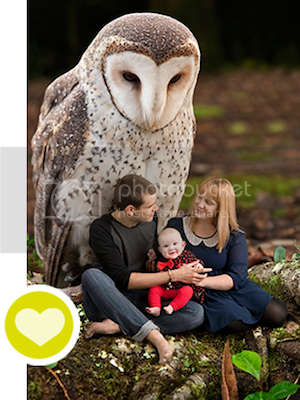 For the past couple of months Luke & I have been trying to take Romy on a picnic to no avail. Either the frustrating Central Coast weather is an issue, or we have grown up commitments or appointments to go to and we can never quite make it happen. 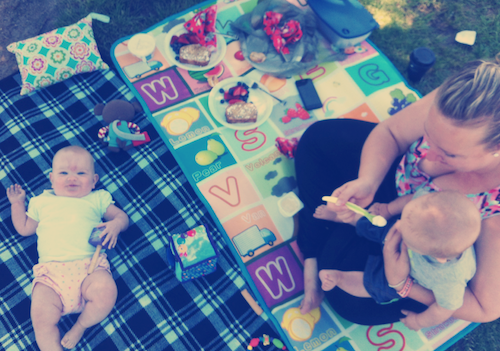 So when Renee suggested a picnic to get the babies out of their prams for our next coffee date, I was a little worried my picnic curse would get in the way. 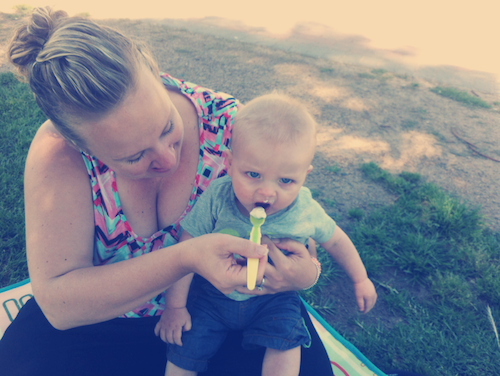 But today was perfect picnic weather! 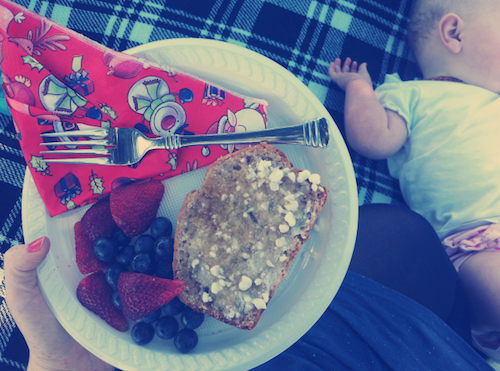 Renee baked some delicious banana bread and packed some berries, and I brought the picnic rug and brought the coffees. Romy & Oscar loved being able to interact with each other, rolling around and sharing each others toys, it was so lovely to see them enjoy themselves. Towards the end of the picnic the wind was starting to get to Romy & Oscar so we cut the morning short, but overall it was a successful morning picnic!